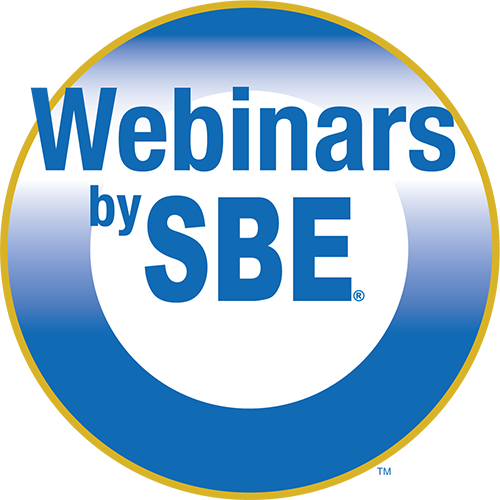 Below are 5-minute previews of each of the webinars available on-demand through SBE. These webinars focus on TCP/IP based networking fundamentals in an Ethernet environment. Topics covered include TCP/IP and UDP Fundamentals, IP Addressing, Sub-netting Basics, an Introduction to IPv6, Switching Fundamentals, VLAN Use, Routing Fundamentals, Quality of Services (QoS) Basics, and Networking Security Concerns. Where appropriate, the application focus will be oriented towards a broadcast technical plant. Due to the amount of material to be covered in detail, the webinar will be presented in two parts. It is recommended that both parts be undertaken. Why sign up for a webinar? What is the format of a webinar? Each webinar typically lasts 60-90 minutes (some last up to three hours). A presentation is shown over the Internet and audio is heard through VoIP on your computer or by telephone through a phone conference. Participants of the live webinar can ask questions of the instructor. Participants of the recorded webinar can view the webinar multiple times. Can questions be asked during the live webinar? Yes, during the live webinar there is a chat box where you may send the instructor(s) questions. What are the system requirements to participate in or view a webinar? "VERY USEFUL to be able to stop, rewind and repeat points and slides we can't do in the live environment. Also, access to the the power point after the fact can aide in focusing on the information presented rather than keeping up with note taking." "I have been very pleased with the two offerings I've participated in so far and look forward to the next webinar and the Leadership Development Course in Atlanta this August 3 - 5. Mr. Vandeveer is an excellent presenter and his passion for this subject matter is evident. Thank you for the opportunity to participate!" Click on the webinar of your choice. There will be a link to the SBE registration page for that particular webinar, either live or archived. If the webinar is archived, you will receive the link to the webinar along with the handouts in an email within a few minutes of completing your online registration so that you can begin viewing the webinar immediately. Contact Cathy Orosz via email or by phone at 317-846-9000.